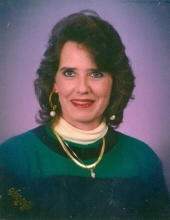 Brenda Kay Hubbard, 59, of Manchester, KY, passed away Wednesday, April 10th, at her home. Brenda was born in Oneida, KY on July 14, 1959, a daughter of Ethel (Smith) Hubbard and the late Sam Hubbard. Brenda is survived by her mother, Ethel Hubbard, and her children: Donna Gail Collins, Michael Paul Collins and wife Christin and Amber Alexandria Collins, all of Manchester. She is also survived by the following brothers and sisters: Troy Hubbard and wife Wilma, James Hubbard and wife Lorene, Mike Hubbard, Phillip Hubbard and wife Linda, Della Mae Hensley and husband Gary, Charlie Hubbard and wife Annette, Diana Jones and husband Orie, Don Hubbard and wife Rebecca and John Hubbard and wife Mary Sue; and by her grandchildren: Sandy Williams, Jeremy Collins, Chloe Collins, Peyton Collins, Logan Collins, Dylan Collins and Julia Collins; and her great grandchildren: Killan Shaffer, Allie Shaffer, Acacia Collins, Haven Williams, Helena Williams, Jeremy Collins, Jr. and Jaeden Collins. In addition to her father, Brenda was preceded in death by her daughter, Sandra Kay Collins, and her sister, Linda Collins. Services will be held at 12:00 PM on Sunday, April 14th at Britton Funeral Home in Manchester, KY, with Paul Mitchell and James Wagers officiating. Burial will follow at the Sam Hubbard Family Cemetery on Island Creek. Visitation will be held 6:00 PM on Saturday, April 13th at Britton Funeral Home in Manchester, KY.
To send flowers or a remembrance gift to the family of Brenda Kay Hubbard, please visit our Tribute Store. "Email Address" would like to share the life celebration of Brenda Kay Hubbard. Click on the "link" to go to share a favorite memory or leave a condolence message for the family.